The Syme55+ Centre is governed by a volunteer Board of 10 Directors. Each director is elected for a 2 year term. To maintain continuity on the Board, each year we elect/reelect up to 5 new directors. Each Director may serve 2terms of 2 years duration on the Board and must stand for reelection every 2 years. 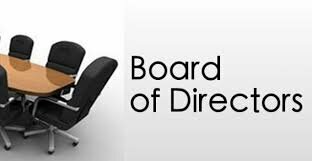 Directors on the executive have the option to serve a third term of 2 years. At our Annual General Meeting on April 5, 2019, we thanked our 3 retiring directors for their hard work during the last 6 years, and we welcomed our 4 new directors for the next 2 years. Our retiring directors were: Grace Bell, Marlene Peltz and Arlene Smetaniuk. Our new directors are: Anita Bartlett, Stella Hesketh, Gary Peltz, and Geoffrey Taylor.